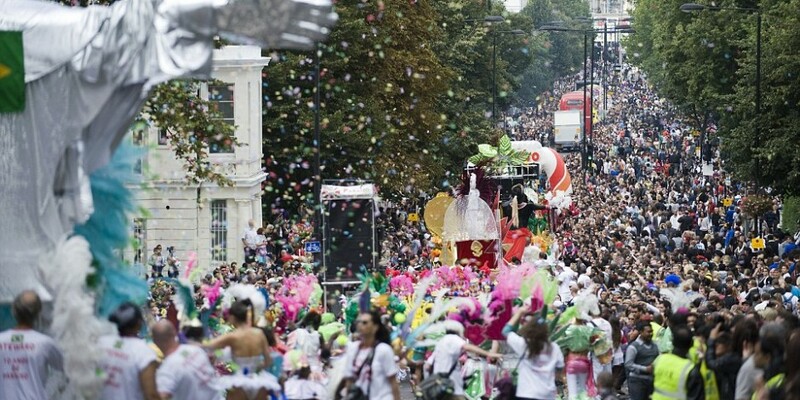 We are well into the Carnival season but don't worry you can start planning for next year! I am sharing with the 5 of the best carnival celebrations in the world and they are a must for your bucket list. When you talk carnival you think of Brazil Rio De Janeiro, this is one of the biggest in the world and it's very well known to be the King of all Carnivals. This annual celebration usually takes place in February and it's been running since 1723 and each year it welcomes a whopping 2 million guest every day during the five day long event. Attendees gather in their flamboyant costumes to watch performances from over 200 schools and 300 neighbourhood bands singing, dancing and partying through the city's streets. If you get a chance to visit this festival you are in for a treat! How can I get away with not mentioning this one in London which usually takes place in August bank holiday weekend. The festival usually kicks off on the Sunday morning with tradition Caribbea carnival opening with the parade taking place in the afternoon. This is the biggest street parade in Europe with as much as 1 million people in the streets of West London. Cadiz Carnival dates back to the 15th century when Italian traders were based in the historic seaside city. Homesick & nostalgic for the traditional Italian carnival these traders had greatly influenced what has now become one of the biggest and certainly most funny carnivals in Spain. It is loved by locals and foreigners alike year after year. Don't hesitate to pack your craziest attire and head out to the streets to join the crowd. Don't wait and start planning your trip to Spain With Holiday Gems! This is an annual even held on the Monday and Tuesday before Ash Wednesday in Trinidad and Tobago. This Carnival is know for their super colourful costumes and exuberant celebrations. During the 2 days there are a number of cultural events running in the lead up to the main street parade on Carnival Monday and Tuesday. This festival was traditionally associated with calypso music, however recently Soca music has replaced Calypso as the most celebrated type of music. Limbo and stick fighting competitions are some of the key things to this festival. This one is very famous for its craziness but not just in Italy but with the world's well travelled food fight aficionados. Beware and be prepared to be pelted with oranges hi lighting the Battle Of The Oranges which is basically representing the civil warn between the royal troops and people and you simple throw lots and lots of oranges at each other!